Casual lifestyle engagement shoots may not be your traditional pre-wedding/engagement shoot, but there’s no reason why couples should not try a cosy lifestyle engagement shoot in their very own love nest. If you want a no-frills, natural and organic pre-wedding or engagement shoot without all the staged poses and acts, then this lifestyle photoshoot may be your cup of tea. Casual engagement photoshoots are all about the intimate moments. 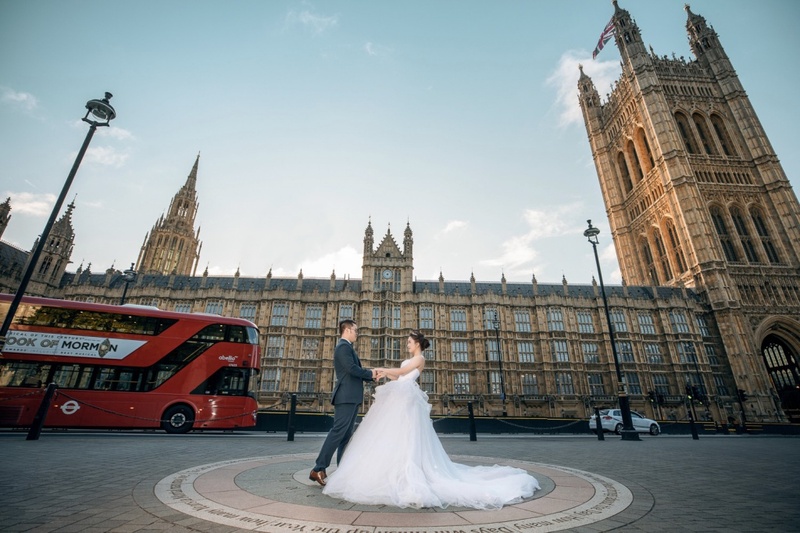 The spontaneous and candid emotions, and the natural interactions of the couple, as if no one is watching them, which was what Lyndsay and Aylmer’s photoshoot was all about. 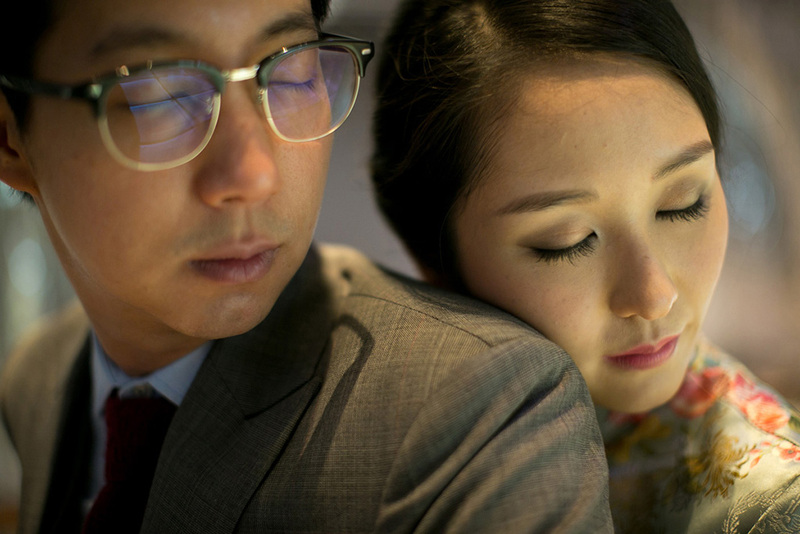 And indeed, a picture tells a thousand words for these photographs spoke volumes about the sweet love story between the couple. 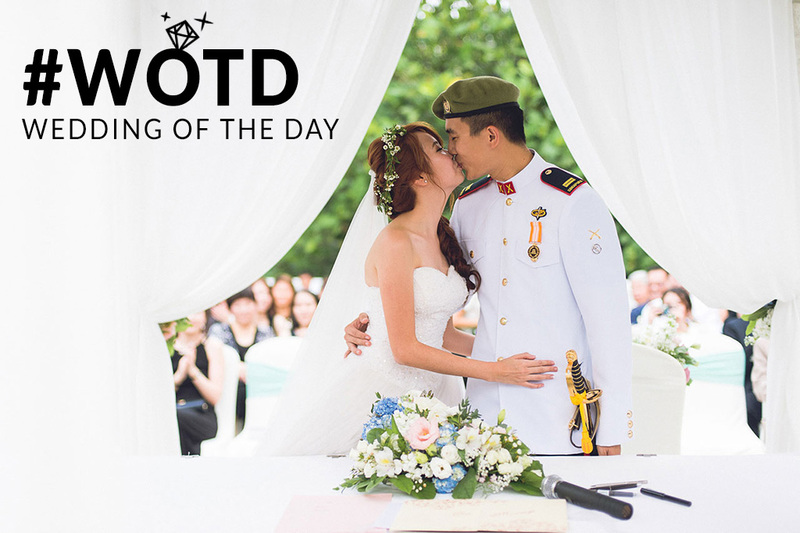 Captured perfectly by their photographer, Myio Okamoto, we could see the love the couple had for each other as they exchanged tender loving gazes with each other. Set against a clean and white minimalistic apartment in Meteora in Tagaytay, Philippines, the couple had a white-themed lifestyle engagement shoot. With a fun and flirty pillow fight, with feathers fluttering in the air, white balloons and soft white pillow sheets, the engagement shoot was filled with a romantic and relaxing atmosphere. We also loved how the couple wore matching white shirts to give off an innocent and laid-back vibe, which complemented the photo shoot set. The next series of photos by the couple was also something more fun and playful. Making use of brightly coloured powder, Lyndsay and Aylmer had a powder paint fight as they threw and splash the coloured powder all over each other. Not only did this liven up their engagement photographs, it also created memories that are utterly romantic and unforgettable. View full album here: Lyndsay and Aylmer’s Casual Lifestyle Engagement Session. 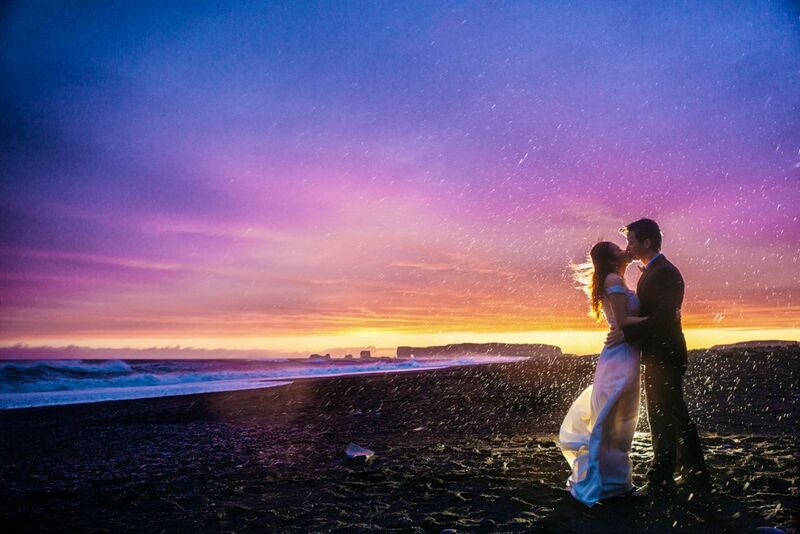 Myio Okamoto is a wedding photographer based in Manila, Philippines. He believes that it is the organic smiles, emotions and feelings that surfaces in the wedding ceremony that defines your wedding and makes it special. If you want him to capture the heartfelt moments at your wedding, head over to his profile to have a chat with him! 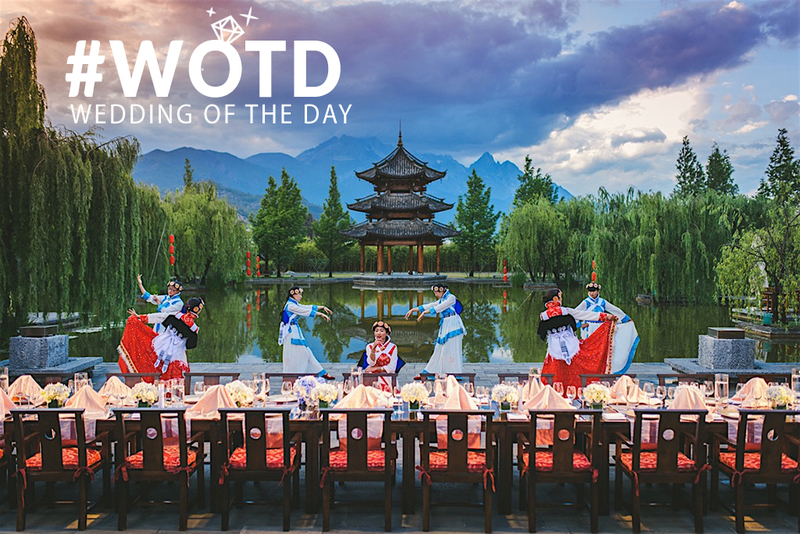 Our new series Wedding of the Day also known as #WOTD, brings you to a different wedding or photo shoot taken in different cities around the world each day. 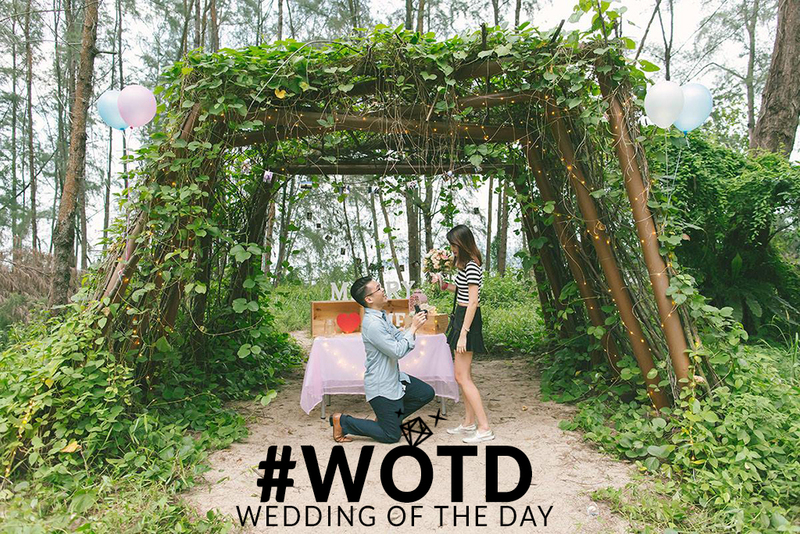 At OneThreeOneFour we want to share with you our daily inspirations, so be prepared to feast your eyes on awe-inspiring weddings from all around the globe!